On my first morning in Melbourne, I get a sense of why the city is the coffee capital of Australia. I’m at the Artisan Bakery & Bar pop-up, which is part of the annual Melbourne Food and Wine Festival that’s held in March every year. Set up on Queensbridge Square, along the banks of the Yarra River, the bakery is famous for its bread and desserts. But it also serves coffee and though that’s not its speciality, this is Melbourne: They won’t get away with anything less than a mean cup of Joe. My first cup of coffee is dark, bitter and intense. I can feel the jet lag slowly wash away. 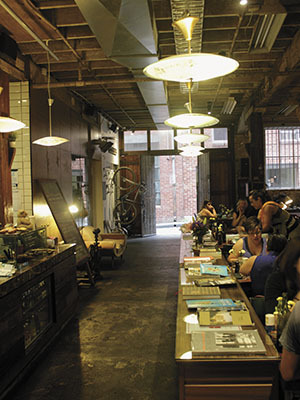 Melbourne is justifiably famous for the quality of its restaurants and the food and wines from its surrounding regions. What many people aren’t aware of is that it is one of the top cities in the world for a coffee experience, and a global influencer of coffee trends. Melburnians love to begin any conversation about coffee by telling you that Australia is one of the few countries in which Starbucks is extremely unsuccessful. In 2008, eight years after the US chain came to Australia, it shut down nearly 70 percent of its stores. There are only five outlets in all of Melbourne, and that’s because the city is so fussy about its coffee that a Melburnian would rather avoid it than drink a brew that it considers not up to the mark. The next morning Maria Paoli, a barista trainer and former national barista competition judge, gives us the lowdown on the city’s passion for coffee as she takes us on a café tour through its neighbourhoods. Paoli, who has been training professionals from the hospitality and airline industries for the past 15 years, has the wired energy of a person on a permanent caffeine high. Our first stop is at The League of Honest Coffee on Exploration Lane, a bright café with plate-glass windows and very Nordic minimalist interiors. Two sea-green painted Slayer espresso machines—the Lamborghini of coffee machines—dominate the counter. The menu offers a mix of single-origin and house blend coffees. I am introduced to the Piccolo Latte, which Paoli explains with a laugh, “is not an Italian name because ‘piccolo’ is never used for volume in Italy. 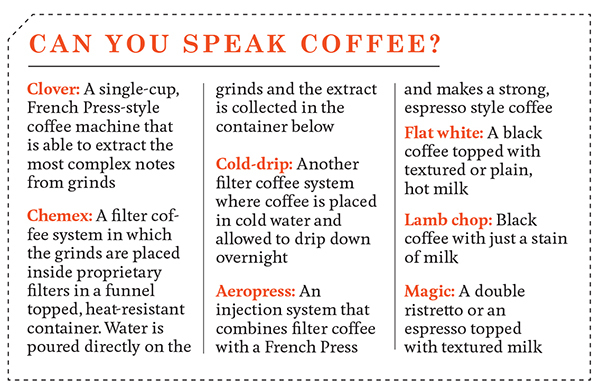 Linguistically, it’s totally incorrect, but it’s totally Aussie; the name was coined in Sydney.” Served in a tapering demitasse, or a shot glass, Piccolo Lattes are ristrettos (half to three-fourth of an espresso) or single espressos topped with foamed milk. 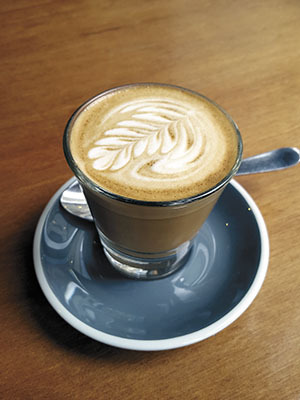 The most famous Aussie-style coffee, which has jumped across the Pacific and Atlantic on to menus in the UK and the US, is the ‘flat white’. There is some debate over its origins because like the Pavlova (meringue dessert named after Russian ballerina Anna Pavlova) and Lamington (squares of sponge cake coated in chocolate sauce and coconut), both New Zealand and Australia stake a claim to its invention. However, the consensus among food historians is that while Australia invented the flat white, its current form was perfected by New Zealand baristas. Served in a smaller cup than a café latte, but with the same quantity of extracted coffee and a thinner band of the textured milk, a flat white is a smaller, stronger latte. These days, the flat white is giving way to ‘magic’, another Melburnian-style coffee, says award-winning latte artist Ben Morrow, a barista at ST. ALi, one of Melbourne’s top cafés and roasters. Magic, a double ristretto or espresso topped with textured milk, increases the intensity of the coffee and marks a transition in the coffee-drinking culture of Melbourne. The drink came to the city with the first British migrants in the late 1700s and early 1800s. However, this coffee was brewed in large urns and sold at market stalls in the city centre. The second wave of coffee-making came with the migrants from Italy, Greece and the Mediterranean in the 1950s. Along with their stove-top pots and roasted beans, they brought with them a history and culture of coffee drinking. 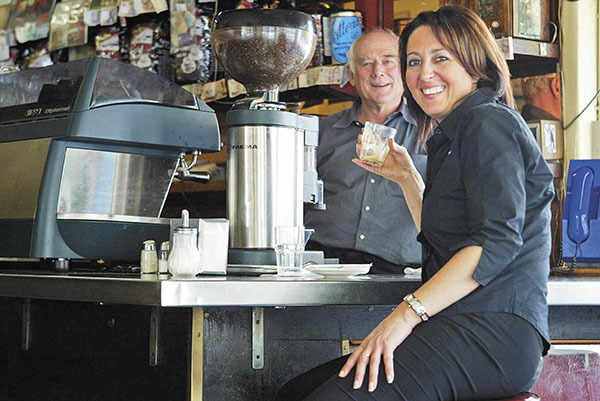 Pellegrini’s Espresso Bar, one of Melbourne’s most visible and famous cafés, dates back to this period. The Italian espresso style of coffee-making dominated Melbourne for the next few decades. Today, most of the cafés in Melbourne are part of the third wave, which is more about rediscovering coffee, and is strongly influenced by Asian tastes and New Zealand roasters and baristas. Over the last six to seven years, the focus has shifted to different styles of filter coffee that produce a lighter brew, rather than just espresso and high-tech coffee machines, such as Slayer, the German brand Mahlkönig, Synesso (made in America) and Italian maker La Marzocco, that allow for better control of the brewing process. There’s also more emphasis on high-quality and expensive single-origin coffee beans and sometimes even micro-lots (specific batches from a single-origin plantation) and specific varietals like Esmeralda and Gesha for complex flavours. Morrow suggests Melbourne’s cafés have entered the fourth wave: The method of making coffee is now as important as the raw materials. Algorithms and specialised equipment like refractometers, which measure how much coffee flavour is extracted from the grounds and how concentrated the brew will be, are being employed in the quest for that perfect cup of coffee. And customers are lapping it up. The city has roughly 2,500 cafés for a population of just four million. Though about two percent shut down every year, most are doing reasonably well, while some like Hardware Societe café always have long queues outside them. Compared to Hardware Societe, things are quieter at Krimper, a large café housed in a heritage warehouse that was once a saw-mill and then a cabinet-making factory. At the centre of the water-blasted brick wall room, a disused 100-year-old lift car and mechanical wheels have been repurposed into a solitary dining booth. At Krimper, we sample an unusual but popular form of coffee: Cold-drip. Not to be confused with cold coffee, which is cold black coffee blended with chilled milk, cold-drip involves steeping the grinds in room temperature or cold water and allowing the extract to drip overnight. 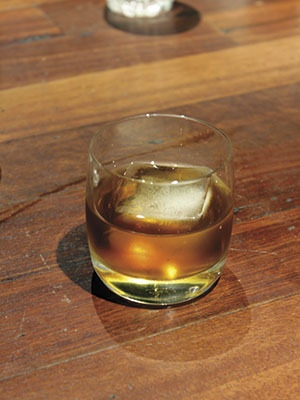 The whisky-coloured liquid is fruitier and less acidic than a normal coffee. For the purist, Melbourne is a great place to taste some of the best beans in the world, prepared in the most meticulous way. And when you do place your order, remember to have a chat with the perfectionist barista—there’s just so many ways they can do a coffee for you. Melburnians are like 'Starbucks is too mainstream'. I'd love to visit a place with diverse and culturally different coffee tastes and Melbourne seems like the right place to try all that. I absolutely love coffee and everything there is about it.